Since the last few days, the talk of the town has been the unconstitutionality of the swearing in of three deputy prime ministers in this country. As we all know, these were designated to supposedly reassure the minority ethnic groups of this country (i.e. the Muslims, the Creoles and the Tamils). A silly calculation which most of our political leaders cannot seem to get rid of and most probably never will. It makes me even sadder when I hear some commentators claiming that if we are not careful to take everyone onboard, then there are risks… Surely, members of all the different ethnic groups of this country are not always carrying their ethnic-formulae packed calculators with them and assessing all decisions regarding nomination decisions in this country! True, we have to take into consideration how representative our elected members of parliament are with respect to the demographics. BUT, it is saddening to see that we tend to focus only or much more on the ethnic criterion in this country. We also forget that competence is much more important. It should actually be THE factor par excellence. Then, if we can have wider ethnic representation so much the better but COMPETENCE should be the prime criterion, don’t you think? A silly idea has come to my brain recently: what if we looked for a proper mixed-blood candidate for President / PM / etc. (with 50% Hindu, 16% Muslim, 3% Chinese and 31% General Population ancestors – based on the very dated 1972 census which is still used for the Best Loser System). Then, we’d be sure he or she is really representative of the population, isn’t it? In any case, I wonder what extra duties these people have done just because they have been nominated DPM? Our Constitution provides for only one DPM and rightly so because he/she (hey, no-one talked about gender when more than 50% of the population is female!) can replace the PM when the latter is abroad (or dies or is sick or whatever…). As for the successor of the President (which according to many may well be the current one himself), it’s the same story that is being dished out to us. Talk about a rancid meal, hey? Incidentally, there was a very nice play which was staged on campus yesterday by Gaston Valayden and his Sapsiway group with the help of Amnesty International. It is a very simple story of two families from two different communities which are at loggerheads and decide to build a fence between their houses. The play is vibrantly acted by very able actors and the references are very realistic. It has a very harsh but true depiction of how our local politicians use divisive techniques (‘NOU BANNE’ vs ‘ZOT BANNE’) to gain votes and maintain the population in intellectual infancy. The representation comes, according to me, at a very telling moment when the very loudspoken so-called representatives of ethnic groups of this country are competing to plead for ministers from their group in the context of a possible reshuffling of cabinet. Speaking of cabinet, this makes me want to flush out all those silly people with silly arguments that can only make us become more silly as a nation. Cry, our beloved country! Let’s call this by its true name – RACISM. Nobody speaks of the elite community – even that one is split between those who are into the betterment of society and who give frak of politics, and those who derive money out of business models. Anyway, it’s time to bring the mass back to the ‘real world.’ – to throw the crisis of crises right at them and ask the ‘Microsoft Question’ – Where do you want to go today? I guess we, Mauritians, have the politicians that we deserve in the sense that many of us are still outright racists. I believe this is because most of our countrymen have never lived abroad and they don’t understand how fragile and minuscule Mauritius is. They waste time and energy on trivialities instead of focussing on real issues. I can only hope that the Internet will broaden the perspectives of our young generation. I dream of a Mauritius with more mixed couples. Let me say that I’m fed up with people who call themselves Mauritians, who use to kill their time by spitting on the country day and night. What do these people really know about racism??? Has Mauritius (any govt. in power) ever prohibited the practice of any religion like this is still done in S.Arabia and Pakistan? Has Mauritius ever restrict any person from any religion or background to live in certain places of the country like S.Africa during Apartheid? Has Mauritius ever sent people to concentration camps like Germany during the Nazi era? Unless you consider living abroad where you will be referred as ‘pakis’ or ‘Niggers’, I think Mauritian should really pick up a dictionary and see the real meaning of racism!! I don´t really think that racism is the adequate word here. Rather, I would talk about ‘scientific communalism’ (pas vrai Ton Paulo?). The idea that ethnic consideration takes priority over all other factors (and more importantly over competence) is what alarms me. I’m not really against the idea of trying as far as possible to have wider representation (be it in terms of ethnicity, gender, geographics, etc.) but I still maintain that competence should be the most important factor. It is pitiful to see that in Mauritius, our decision-makers and many high-profile influencers / opinion leaders tend to focus only on ethnic representation. And BTW, using a logic of ‘we are really not as bad as Germany under the Nazi reign or South Africa under Apartheid’ is not so helpful. These countries have succeeded in getting rid of these authoritarian and morally wrong regimes (albeit by themselves or through help from outside). And comparing with worse countries is not helpful as it will not help us improve. 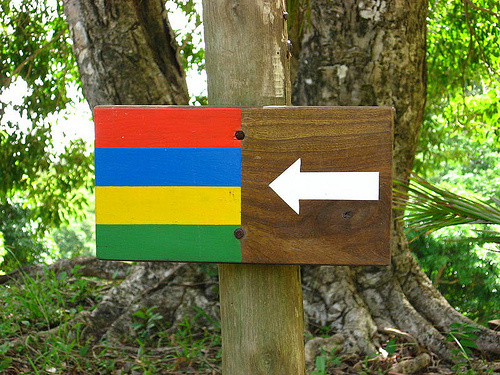 Mauritius is a democracy. Is there autonomy of communities within this democracy? No. Moreover, not everyone believes in segregation of groups based on ethnicity. This makes those who want to – racists. Ever seen “touye lascar, batte malbar” and other craps decorating bus stops? Does such crap depict “communalism” or racism? Do the occasional violence outburst in Plaines Vertes make you think of “communalism”? YES, we do need a technocracy. I thought some beaches were private. Interestingly, there was a debate about representation of so-called minorities on Radio One today with Anil Gayan, Jocelyn Grégoire and Rezah Issac. The last two were clearly on the ethnic-formulae calculator mode and I, together with my husband Avinash, got rapidly fed up and disgusted especially after Anil Gayan (who bemoaned the comeback of such level of communalism in our country) left. Their main argument seemed to be: we need to have X numbers of ministers from our community in order to tally with the ethnic demographics of this country. Which seems to support the notion that a minister of a certain community works primarily for that group of people. Even if we were to accept this counter-republican notion, do we really think that ministers work for all strata of their ethnic group? Does a Muslim minister or a Creole minister mean that ALL the Muslims and ALL the Creoles of Mauritius will benefit? I tend to think that IF they do favour their fellow Muslims or Creoles, then they favour only a small number of them and primarily their close circle of friends and families and the restricted circle of ‘intelligent parasites’. Ordinary (read poor or middle-class) Muslims and Creoles do not see their lifestyle dramatically improve during the time their minister is in office. Only the former sub-groups I mentioned above do. Another point: Do we have to get married (I well said married) across communities to SOLVE the problem of communalism or is it that we get married by compulsion i.e. to love someone & start a family to pave the way for future generations. I don’t think mixed couples get married with the INTENT of showing that mixed marriages is the way forward. Perhaps it’s high time we conjure a true meaning for ‘mixed couples’. Let’s assume I love a girl of my own community and wish to marry her someday. Finally, am I a racist if I do not want to marry one of the others? The discussion is about decisions to nominate people in office, not about voting patterns or mixed marriages. I never said that if you marry or vote into your own community that makes you a racist. And as I said earlier, my concern is that the ethnic criterion takes priority over all over criteria, namely competence, in a context of importance for the nation and for the Republic, i.e. to all people in this country. For your info, I am in a mixed marriage and that does not mean that I would like to impose mixed marriages everywhere! We got married out of love. If you marry a person from your own community, that does not make you a racist. You make your own decisions. However, if people are being prevented by others from marrying people they love on the basis of ethnic belonging, then they are victims of communalism. Do you get my point? hey, no-one talked about gender when more than 50% of the population is female! when i was young i used to believe mostly uneducated [academically] people think like this, then as time went on, i realized that even those who seem to have pretty much achieved quite a good academic level still think like that. This is just a screwed up reasoning that i believe is in built into people itself. Initially, i always tried as hard as i could to convince people that they are wrong when thinking like that and not giving the chance for competency instead (or maybe i was trying to impose my opinion on people?). Anywayz, gradually i realized that people will never change, a monkey will still remain a monkey even if shaved, and a donkey will still remain a donkey even with a saddle. Sure Enough politicians definitely will use the opportunity to divide people to rule over them, Its more profitable to incite a few divisions between people so as one can easily try to reassure them that “i am working for YOUR interest”, because, its hard to find things common for all people in a block of people, while if one uses the thing that is common atleast to a majority of the people in the group, then i believe, its easier to convince them. People just don’t like changes, they have a mindset, they are born with it, and they just don’t seem to want to think what it would be if this this this is changed. Probably coz there is still the type of talks around that “etaa allE la hein, to croire li li 1 XXXX community li pou al rentre dans mo malheur moi ki dans comminautE YYYYY”, [irony is that whenever someone is in trouble, most people be it of any community will try to help you out, because its just human to feel sympathy (or narcissic to say “i helped you” i am great). Its just irrational fear that makes people think appartenance to a particular race will make then any stronger.. sure it will to a certain point, but then, if in our case they don’t realize that they are Mauritians first before being hindu, muslim, christians ….. then we are basically f*cked. Sure we all need to be bloody racist :p but not of smaller things, only people who don’t have ambitions are racists about race/religion, :p those who do would be racial about their country, for example, i might damned well say, Mauritius can be the world first power [you may laugh, but heh, i get the control, i’ll aim for that], or if i am at the seart of the world first power’s country, then i shall cry out, human are the best damned race out there, let’s get out and conquer everything. I tangoed through this post while reading Avinash’s post. Foremost to any comments, I would like to say that you both are set to either make it or break it in the Mauritian setting. Both well balanced individuals and doing some pretty good work. What has made this tiny island into a model of democracy on the global stage is being gnawned at an alarming rate by an archaic set of thinking and behaviour of many local policy makers. Working on the international front on conflict resolution and post conflict ravaged countries, I dare to say that the local population is slipping into an oversizing syndrome of small issues. Any catching event that makes the news quickly gets the ‘copy & paste’ impulse. Do Mauritians really realise what they have in hand and what they can wreak for ever into oblivion by sheer lack of understanding of how the world functions? They are fast becoming conflict creators and gestators and heaven forbid, should never be left wild … Christina, you are doing a great job to start some dialogue among young people who will have eventually to hold the pan. Bet you do not have many followers among your class … the elite thinkers of UoM who would prefer a comfy chair to a hard one in the office battling over such issues online. Cannot agree more with this comment. Sad but true event, i have witnessed this so many times, nothing will be done to them, because they will soon control the economy. PS, i have personally witnessed a’white’ sending dogs to those walking on the ‘private’ beach…. mo kon toi bien, to mem ki al trainer dan bagatelle. to declar blanc aster to critik blanc. wai karrive toi blanc pe bez dekouyoner napli kapave fer racist ek noir?kumansse melnager monoir fer to seour cousine tous sa kumansse melnger sinon problem lor toi dans le future monoire. Christina, thank you for your blogs. Part of helping to create a healthly and vibrant society is the ability to be self-critical. Ironically, just by reading through some of the comments vis a vis this particular blog, I find that some of the commentators are upping the ante by adopting a holier than thou attitude in regards to their particular community (Harry get a life! Where’s your evidence that Pakistan and Saudi Arabia prohibit the practice of religion?). I’m afraid that includes you Christina! By condemning Jocelyn Grégoire and Reza Issac whilst praising Anil Gayan, you have unfortunately fallen into this trap too. The press conference by Navin Ramgoolam, where he was bending over backwards denying any Hindu chauvanism in the nomination of Jagnauth for a further term as President, merely confirmed that very chauvanism in my mind, my neighbour and friend; a Hindu businessman was watching the press conference together with me in my home, even he had to smile and shake his head in embarrasment at Navin’s pathetic diatribe. As has been pointed out, the need for 3 DPM’s when the constitution only makes provision for 1 proves very clearly that there are rumblings of discontent at having a Muslim DPM (all the more so, due to Navin being out of the country quite alot of the time, thus the DPM is de facto the PM). To be balanced, I must say that your point is valid, in that having a minister of a certain faith/race doesn’t mean that the community in question will benefit as a whole. I’m a realist, after all isn’t that one of the principles of politics? We are ALL equally guilty of communalist tendencies. When Valayden was getting all happy-clappy about his pet project; the human rights act with ‘meritocracy’ being the buzz word, it was pointed out that if for example most or all of the candidates for any particular post of importance came from a non-Hindu background would he/she get the job? (Nb: I’m fully aware of the Berenger-Jugnauth deal, my o my what window dressing!). The reality of the situation is that Mauritius is based upon a compromise; an ethnic, religious and caste-based system. Therefore, from the onset the cards were stacked against us. Has anyone realised why is it that Mauritius is the ONLY country where the European element of its population/society has actually been BETTER OFF, post independence! We Mauritians have learnt how to play the game very well. Our African/Asian neighbours differ from us in that, using a game of dominoes as an analogy; they shout ‘cheat’ when the reality is that they ALL cheat thats when it gets ugly. Here in Mauritius we quitely get on on with the game knowing that we all ‘Jouer bicyclette’. I wonder what would have happened if Jagnuth had de-communalised politics instead of/and sport? The ‘best loser system’ was put into place in order that all the communities would be represented in one form or another, the contradiction is that having a multi-party system means that not all candidates fit into a particular box; thus a candicate of a particular faith/race may belong to a party that is overtly represented, but in order to balance the books he/she gets in as a BL. Doesn’t that contradict democracy? I look forward to the day when we will not need such ‘crutches’ as the BLS, a day when Mauritians have reached a level of maturity when we can decide who is FOR their interests as a nation. But alas! Our current bunch of crooks; oops! I meant politicians will be out of a job, therefore turning the heat under the cauldron of communalist hatred will be their (the politicians) final card. To conclude, Mauritius is blessed with a vibrant and educated element amongst its populace. Mauritians travel alot, or have family who live abroad; after all travelling does broadens ones horizons. I’ve lived, worked and travelled in many countries, this has made me appreciate many things about Mauritius, what I can’t fathom is that ex-pat Mauritians are up there with the best when abroad, but in Mauritius they couldn’t give 2 hoots! Ironically, when one is abroad and comes across another Mauritian, the thought of him or her being a ‘malbar’, ‘lascar’, ‘madras’, ‘nation’ etc. etc. doesn’t come to mind your just glad that you’ve met a fellow Mauritian! Aziz,don’t fool yourself, some ‘mature’ Mauritians abroad, have just the same racist attitude, as they would, living in Mauritius.